Women aren’t the only ones who are objectified. Men are objectified when they are subjected to a false value system that invites comparisons and creates a pecking order that doesn’t reflect their true value at all. In our culture, men are defined primarily by their work, the number of zeros in their salary, the size of their portfolio, or their academic pedigree. In many settings, true “manliness” is measured by their exercise of leadership (especially with respect to women). Joseph’s story plays out in the margins of the Christmas story. Little more than a sidebar, he has the dubious distinction of being eclipsed by his wife and her daring “Yes!” to God’s call on her life. It is as if we unconsciously celebrate Joseph’s manly humiliation every year on Christmas cards and in pageants, carols, and sermons. I’ve never heard anyone point to Joseph as an icon of biblical manhood. And yet, if the Gospel according to Matthew were packaged like People Magazine, Joseph of Nazareth’s face would grace the cover, for Joseph is the lead story in Matthew’s Gospel—and not for chiseled abs. Often overlooked is the fact that Joseph embodies a brand of manhood that is alien in our fallen world where power, wealth, social status, and even physique are the gold standards for ranking men. Mary may give us a breathtaking example of the courage and self-sacrifice required of a girl who follows Jesus. But Joseph is in every respect her match. He embraces a radical gospel brand of manhood that dismantles the cultural and religious systems—both then and now—that falsely define what it means to be a man. One of the most significant statements in the Christmas story comes when Matthew tells us that “Joseph was a righteous (or “just”) man.” We take this to mean that Joseph was a good man, especially knowing how everything turns out. And with that, the profoundly serious implications of Matthew’s statement go right past us. In Joseph’s day the Pharisees governed the prevailing definition of “righteousness.” Their brand of righteousness was in fact self-righteousness that did not always bode well for others. For them righteousness was an exacting external standard that produced pride and justified intense scrutiny of others with the inevitable concomitant of harsh punishment on any violation. Just recall how the Pharisees dragged the woman caught in adultery to Jesus with every intention of stoning her to death. Mary too was thought to be an adulteress. There is only one way a young girl gets pregnant and it is not because of some preposterous fairytale of divine intervention. If Joseph’s righteousness conformed to the Pharisees’ definition, Mary might very well have become the victim of an honor killing. And cultural definitions of manhood would compel Joseph to vindicate his honor. Joseph’s contemporaries would consider this the worst sort of spinelessness—a classic case of wimping out. But Joseph’s righteousness was “not of this world.” For Joseph, true righteousness transcended cultural expectations of how a man should live vis-à-vis his wife, and this one counter-cultural choice with regard to Mary was merely the beginning. Even according to today’s egalitarian standards, this is radical. The Christmas story is embedded in God’s Greater Story. This is where the fiercest of all battles is joined. Everything hangs by a slender thread as an unwed virgin conceives a child and a deeply broken man faces the biggest decision of his life. But this is also where we start to see the kingdom of heaven touch down on earth as Joseph rejects the religious status quo to embrace heaven’s radical righteous ethos. Muscles Joseph flexes in this story weren’t for photo ops or creating a marketable celebrity image. Nor was he flexing his manhood over Mary—expecting her to build her story around his, as his culture would demand. Instead, he invests his strength on her behalf and the mission God has entrusted to her. He is fiercely committed to doing whatever God asks of him—no matter what it costs him, no matter how upside down it makes his life look in the eyes of others, no matter how it overthrows his own agenda, no matter how it violates his culture’s opinions of what it takes to “be a man.” In the process, Joseph takes manhood to a whole new gospel level and foreshadows the brand of righteousness Jesus brings. Joseph joins Mary’s covert operation to do everything he can to promote her success in answering God’s call to bring forth the Savior they both need. It’s time we brought Joseph out of the shadows and started giving him and his story the attention he deserves. Advent blessings, to you, to yours! What a beautiful foretaste of the gender reconciliation provided through the gospel. Thank you for bringing Joseph to the forefront! We miss a lot when we ignore Joseph. Thanks, also, for pointing out that men, also, suffer when we stereotype and objectify. I've often been both annoyed and hurt by the tendency of certain branches of Protestantism to ignore and even demean Mary while idolizing the male founders of the Church. Now I realize that Joseph, too, has been marginalized. A truth very well stated, thanks! I so agree with Linda@Creekside – this is profound! Thank you for articulating it so well. 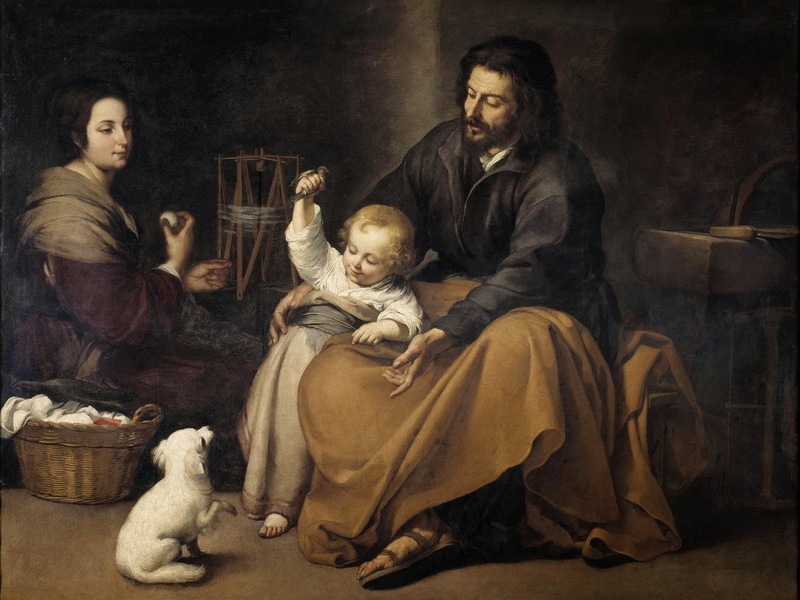 The good film, The Nativity, portrays Joseph much as you have described him here, including a struggle against the expectations of his peers, portrayed in a dream.